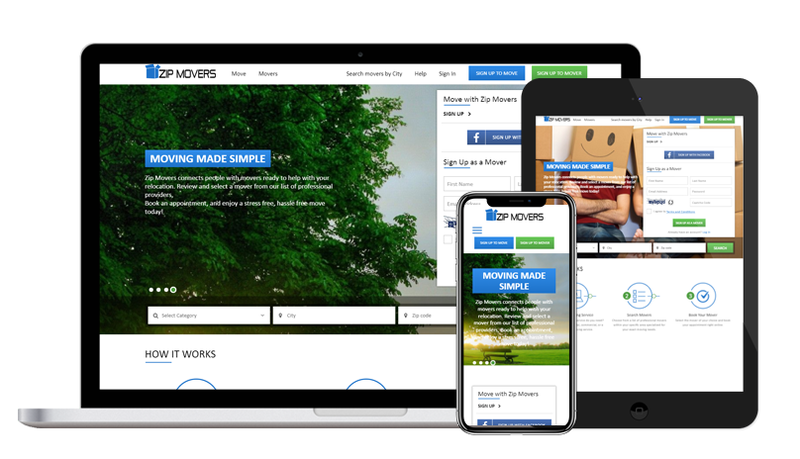 Zip movers is a website which connects a customer to movers to help with their relocation. A customer can choose the moving service from the list such as commercial, residential or a local piece moving service. On the basis of their moving service preference, they got the best moving service provider in their location. A customer can check the details of the movers and book one of them online who suits their preference best. They can also search local zip mover by entering the city. Movers can check the booking request in their admin panel, reschedule the booking in case of any circumstances, set the availability calendar, and chat with the customers in case of any doubts. They can manage their services, add new services or update the service accordingly.